The Amalie Motor Oil NHRA Gatornationals, held each March at Gainesville Raceway, is one of NHRA’s longest standing annual events going back to the days of muscle cars, rock ‘n’ roll and Coca-Cola. While the engines are faster and the tracks are safer these days, the true spirit of drag racing remains at Gainesville Raceway. The Gatornationals are a community staple providing entertainment and economy to the area. At each NHRA national event in 2018, the NHRA Legends Tour has been providing fans with once-in-a-lifetime opportunities to interact with the most renowned names in drag racing through meet-and-greets, autograph sessions and a variety of other activities. 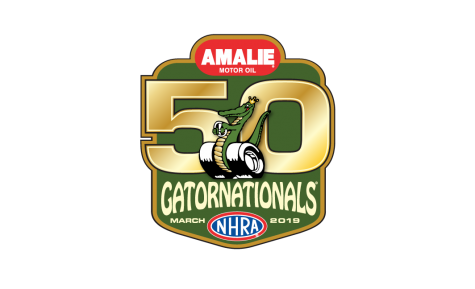 The tour wraps up next year in Gainesville, Fla., as Ed “Ace” McCulloch, Shirley Muldowney, Darrell Gwynn, Don Garlits, Kenny Bernstein, Tom “Mongoo$e” McEwen and Joe Amato and many more come together for one colossal blowout to celebrate the 50th annual Gatornationals. Never before will so many NHRA legends be gathered in one place! Click here to purchase tickets or by calling 800-884-NHRA (6472). Purchase early and save! How to Get There: The track is on County Road 225, eight miles north of Gainesville Regional Airport. If traveling north on I-75, use Exit 382, Williston Road (CR 331), and turn left (east). Williston Road will become Waldo Road (State Route 24) after it crosses U.S. 441. Continue on Waldo Road to NE 53rd Avenue, turn left, then immediately right onto CR 225 and ­continue 3.5 miles to the track. From I-75 north or south, use Exit 390, 39th Avenue (SR 222), go east to Waldo Road (SR 24), turn left, go to NE 53rd Avenue, turn left, then immediately right onto CR 225 and continue 3.5 miles to the track.